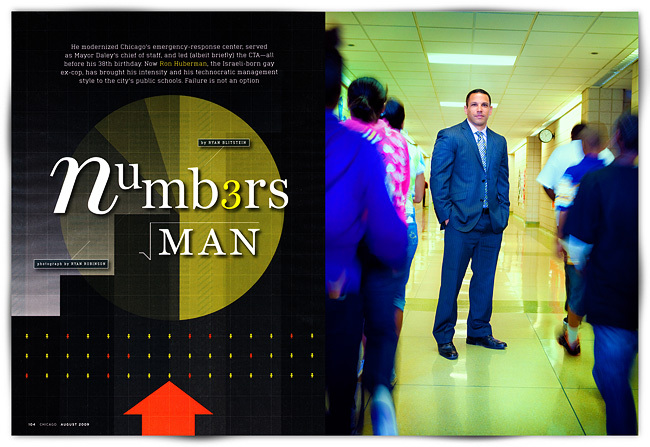 Here's a quickie that I shot for Chicago Magazine of Chicago Public Schools CEO Ron Huberman. It was whirlwind of a shoot, especially when considering we had only a handful of minutes with Mr. Huberman (which was announced to us at the very last minute!). He was a very nice photo subject with a large task in front of him as he guides the CPS.